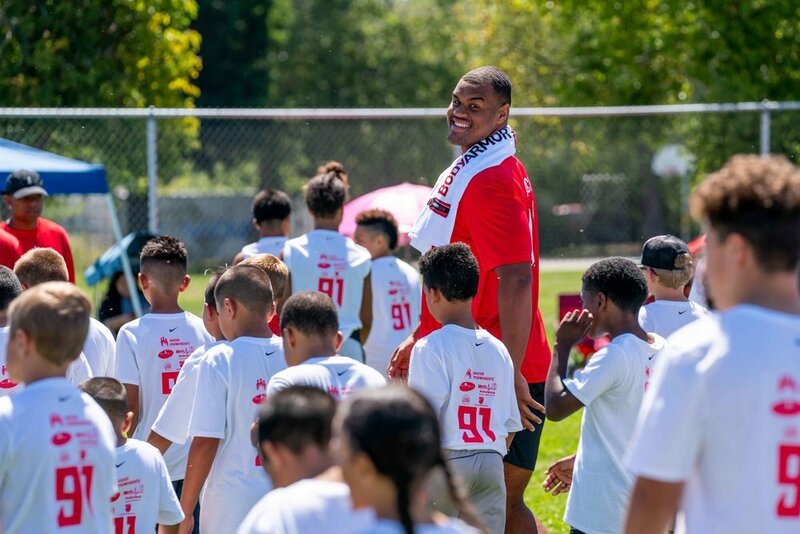 I've been fortunate to have been invited to Arik Armstead's football camp for the third year in a row. It's been an honor to work with Arik as a photographer. He's one of the most giving and hands on athletes I have ever met. 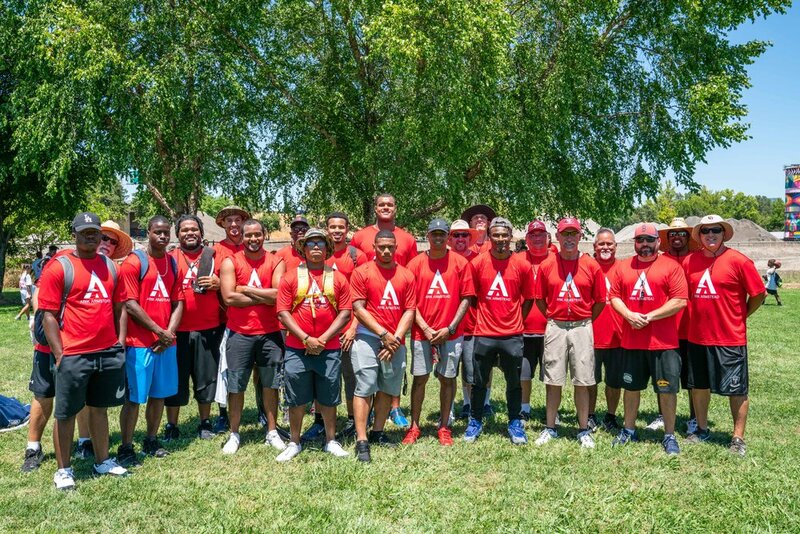 This year's camp took place in Sacramento, Ca on a hot day in early June. Arik brought an entire team of coaches and players to help him run the 2-hour camp - some were other NFL players wanting to lend a helping hand and others were local coaches giving their time for these kids. It was a big event that few pro athletes could pull off. Huge props to Arik for getting this whole thing together for the Sacramento community! Arik isn't one of those guys who hangs out in the back. He gets down in the trenches near the kids and helps them out individually. How awesome is it to be given advice by someone who has made it to the highest level!?! Arik jumped in on many of the football stations set up around the camp. He was giving advice, showing how to do drills, and encouraging the campers to do better and better. The kids absolutely LOVE Arik. Though his size is intimidating, his heart for the campers is immediately apparent. You can feel the love that he has for them and they give it right back. 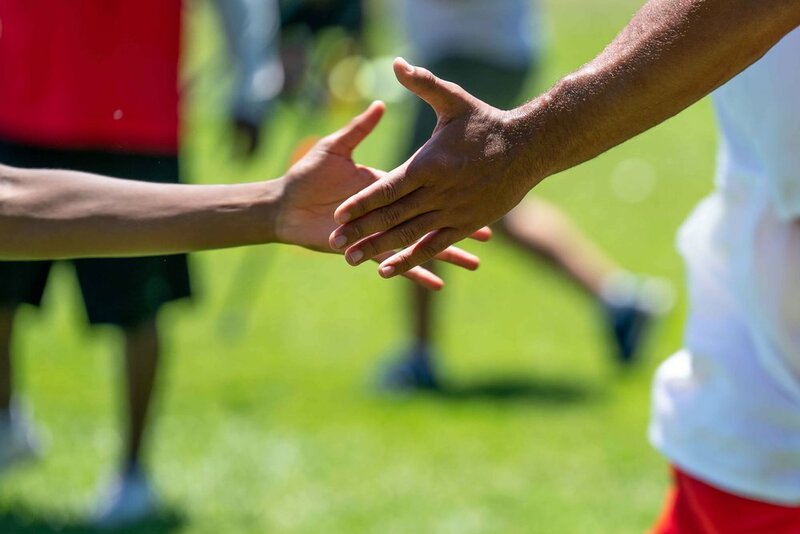 It's amazing to see how being professional athlete can influence people towards good. I know that each and every one of the campers that participated today felt that influence from Arik. Snotty kids? Cooties? That isn't a thing for Arik. High fives and hugs were a common sight anytime you saw Arik interacting with people. These were the moments I really wanted to capture because it's not something you really get to see much of when you flip on the game on a Sunday. This is a very different perspective that I think needs more attention. Sure, Arik's accolades on the field are great, but what he does off the field is so much more impactful. At the end of the camp Arik always addresses the campers before they go and get their lunch (included, of course!). His parting words are encouraging and inspirational as he shares how being respectful of others has gotten him to where he is today. Hopefully his words will penetrate at least some of these campers this afternoon. If so, then this camp will have been totally worth it. As the kids lined up to get their Pizza Guys pizza, Arik took the time to take a shot with each camper that wanted one... and there were A LOT that wanted one. Yours truly was the photographer for this. This year the process had to happen very quickly and there wasn't a tent set up for photos so these ended up more like snapshots rather than proper camp portraits. It was really the best that could happen in this situation. All these photos and more can be seen by CLICKING HERE. The link will lead you to my full gallery of photos from the camp. Arik had a ton of help putting this camp together and I wanted to acknowledge everyone who put in the time and effort that afternoon. The coaches (pictured above) were working in the hot sun making sure that the kids got a rigorous and useful football experience. The sponsors who came out provided food, drink, and equipment, and there were many others who worked behind the scenes to make this a success. It was an awesome day and I was so glad to be able to capture it in my photographs. I hope I get to come back for year four in 2019!